They Called Us Enemy brings to life the unforgettable memories of American icon George Takei. 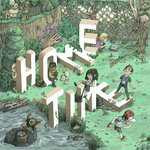 Watch him introduce this massively-anticipated graphic memoir in a must-watch video trailer! Hannah Templer's COSMOKNIGHTS begin their quest today! 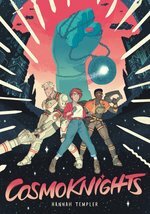 The queer sci-fi action adventure is now a free webcomic at www.cosmoknights.space, where the entire book will be serialized before publication as a graphic novel this fall. 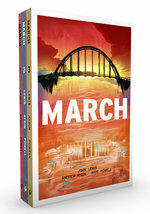 Save up for Penny Nichols and three more amazing Spring books! 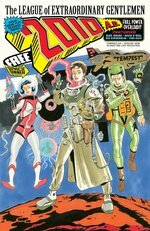 We've got a fantastic and diverse lineup in this month's Diamond Previews now for release in May and June: Penny Nichols (a hilarious love letter to indie/DIY culture), two delightful kids' books in Surfside Girls 2 and Box, and the final issue of The League of Extraordinary Gentlemen! 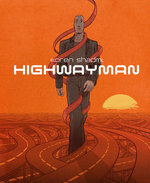 Koren Shadmi's most stunning graphic novel yet: HIGHWAYMAN. 160 pages • full color • softcover graphic novel w/ flaps • 7.15" x 9"
Pre-order from your favorite comic shop or anywhere books are sold. 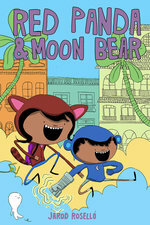 RED PANDA & MOON BEAR save the world before bedtime! Two Latinx kids battle supernatural threats to their working-class neighborhood with the power of science, magic, and some very special hoodies. 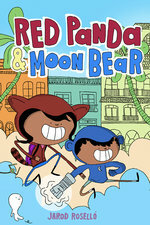 Red Panda and Moon Bear are the defenders of their community! 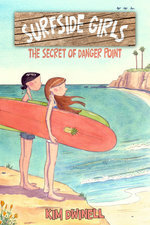 Together, these brave siblings rescue lost cats, scold bullies, and solve mysteries, all before Mamá and Papá get home. But lately… the mysteries have been EXTRA mysterious. 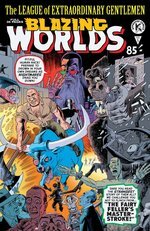 All of RP and MB’s powers may not be enough to handle spooks, supervillains, alien invaders, and time warps! It’ll take all their imagination — and some new friends — to uncover the secret cause behind all these events before the whole world goes crazy. In his first book for young readers, Cuban-American cartoonist Jarod Roselló presents a whimsical and tender-hearted adventure, packed with Saturday-morning action and glowing with Caribbean sunshine. 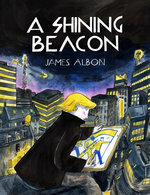 a 184-page softcover graphic novel with flaps • 6" x 9"
April 2019 brings James Albon's lush, political A SHINING BEACON! Francesca Saxon, artist and loyal citizen of the nation, is thrilled when she receives a commission to design the central mural of an epic new swimming pool: the jewel in the crown for an insecure regime obsessed by propaganda. Leaving the comfort of her coastal hometown for the lap of luxury of the capital, she is swept up in the paranoia of a government threatened by underground revolutionaries, whose promise of a freer, happier future looks increasingly appealing. Torn between rival factions and her personal loyalties, she realizes that when ideology has a stranglehold on art, the picture is rarely pretty. 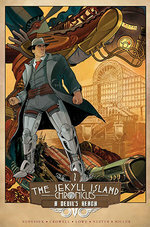 With its second volume landing in bookstores everywhere this week, The Jekyll Island Chronicles is an award-winning series of alternate-history graphic novels, featuring an unlikely band of World War I veterans who continue to serve their country by battling an anarchist cabal in a post-war era of invention. This Sunday marks the 100th anniversary of the end of World War I. In all that time, there has never been a national memorial in our capital dedicated to the millions who served and sacrificed. 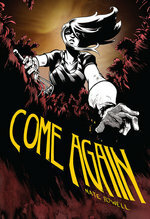 So as The Jekyll Island Chronicles brings new light to that era, the Top Shelf/IDW publishing family is proud to assist. Through the end of 2018, a portion of every purchase of The Jekyll Island Chronicles, whether in print or digital, will go toward helping complete the National WWI Memorial in Washington, DC. Johnny Boo is back! 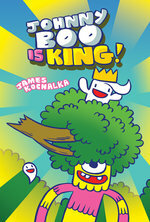 In fact... JOHNNY BOO IS KING!?! with a new adventure fit for a king! A few days ago, legendary actor, activist, and author George Takei visited New York to deliver the keynote address at School Library Journal's 14th annual Leadership Summit. Speaking to a rapt audience of key figures from schools and libraries around the United States, Takei narrated his wrenching firsthand experience in childhood as one of 120,000 Japanese Americans forced into internment camps during World War II. Takei also explored the complex lessons of patriotism and civic engagement passed down by his father, the duty of all Americans to stand up for our ideals, and his hopes for They Called Us Enemy to both educate and inspire new generations with the lessons of the past. "Next year, we will put it in your hands, you librarians, to build the future of America, to inform the young people who will become the leaders of our future that we have a glorious history... but we should also be mindful of some of the horrible mistakes that we made," he said. "As Americans, we all have a responsibility to build a better America." They Called Us Enemy is currently in preparation for release in Summer 2019, but some retailers are already beginning to offer pre-orders — including Amazon, Barnes & Noble, Hudson Booksellers, and the IndieBound network of independent bookstores. For the full story on Takei's address to the SLJ Leadership Summit, see this article. BELZEBUBS: Juggling work and family can be… hell. Calvin & Hobbes meets Call of Cthulhu as the sensationally popular heavy metal webcomic BELZEBUBS comes to your bookshelf in a grim, goofy, and gorgeous hardcover. See what Belzebubs' quarter-million frenzied Facebook fans have been raving about! PLUS: watch for the official Belzebubs soundtrack album, coming in early 2019 from the world’s largest heavy metal record label, Century Media! In shops now: Girl Town • From Hell • Jekyll Island Chronicles! It's a banner week for Top Shelf new releases — available in all fine comic shops today! You'll never want to leave these richly emotional tales of female friendship, desire, and healing. 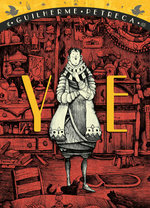 Experience Alan Moore & Eddie Campbell's Victorian murder masterpiece as never before: fully revised and colorized for the first time by the hand of Eddie Campbell himself! The surprise hit diesel-powered action-thriller Jekyll Island Chronicles roar back with an even more exciting sequel, packed with mechanical adventure and fascinating historical truths!